All There is to Know About Vehicle Accidents If you drive a vehicle, you might have, always at the back of your mind, the knowledge that driving unsafely may lead to a vehicle accident, and this in turn can leave you injured, traumatized or thrown in an irreversible life situation that will lead you to be crippled forever. These accidents are certainly debilitating, and from them sprout up all sorts of trauma, injury, loss of life, loss of job, and even lengthy court trials. Because accidents are dangerous and very costly, then, it is very important for drivers all over the world to know what exactly causes them, and how they can prevent these unwanted incidents from happening to them. Distracted driving, surprisingly, is one of the most common reasons for the accidents that happen across the world today. These drivers are good citizens, but may have need to change their radio’s channel or talk on the phone, momentarily taking away ther attention from driving – the result of these few moments can be terrible and catastrophic. Speeding is another reason why accidents are common on the road. When you go above the speed limit, you give yourself less time to react, use your breaks, swerve, or do the things necessary to avoid other cars, and this will, in the end, lead to a traumatizing accident. When you drive recklessly, or come within the range of a reckless driver, you are also putting yourself at risk of getting into a vehicle accident. It is a good idea to avoid speeding, changing lanes without proper signaling, and being impatient to get out of the traffic – a vehicle accident will definitely take a longer time and have more huge consequences than patiently waiting out the traffic will. When you drive in weather which is bad, you are also at greater risk of being in a vehicle accident. This is because rain or snow cause the roads to be slippery, and vehicles can easily slip and swerve out of control. Drivers should then be extra careful when they drive in rainy weather, and go slower than they usually do in normal weather. Though these steps will prevent a lot of accidents, they still will happen now and then. 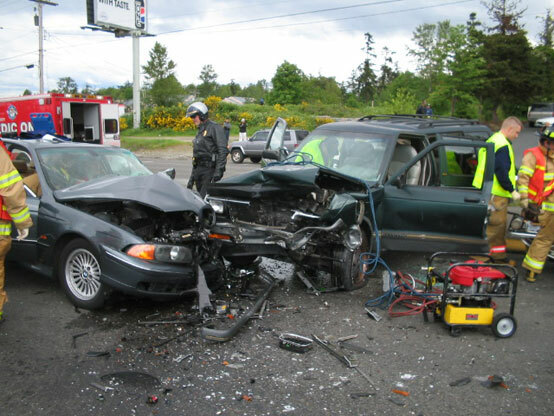 Because of this, it is a good idea for one to get in touch with a good personal injury lawyer who can help him or her if things go wrong and an accident does occur. A good attorney will help his or her clients with the insurance agencies as well as with suits that may be filed against them. When you take this important step, you can be assured that your rights will be defended, and the outcome will be as good as it can be.